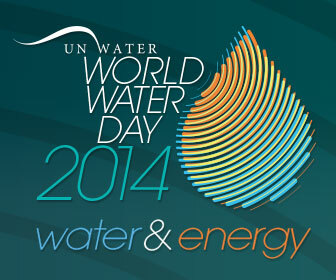 For this year’s UN World Water Day, the theme is the interdependence of water and energy its impact on resource security. To highlight this relationship, Flo looks at 3 examples of water and energy interaction in the UK. Water stress and scarcity is one of the most urgent cross-cutting challenges facing the world today and is intrinsically linked with the need for energy. Water is required for extraction, transport and processing of fuel as well as to process fuels, for cooling in power plants and for irrigation in the case of biofuels. While energy is required for pumping, transportation and the purification of water, for desalination, and for wastewater. This interdependence is termed the ‘water-energy nexus’. Considering water and energy together (and often food is included in this too) is a way of framing the issue of water and energy scarcity to more fully understand their impacts on resource security. Water scarcity is intensifying due to excessive withdrawal , whilst concern for energy provision is sparked by diminishing fossil fuel reserves and the built-in problem of CO2 emissions and climate change. A new paper suggests water required for total energy production in the world will increase by 37-66% during the next two decades unless extensive improvements in water use efficiency of the existing energy production technologiesare made. Lets look at some examples of water-energy interdependence in the UK. Hydroelectric power has never been a big player in the UK but it does form a small but vital role in the energy mix. 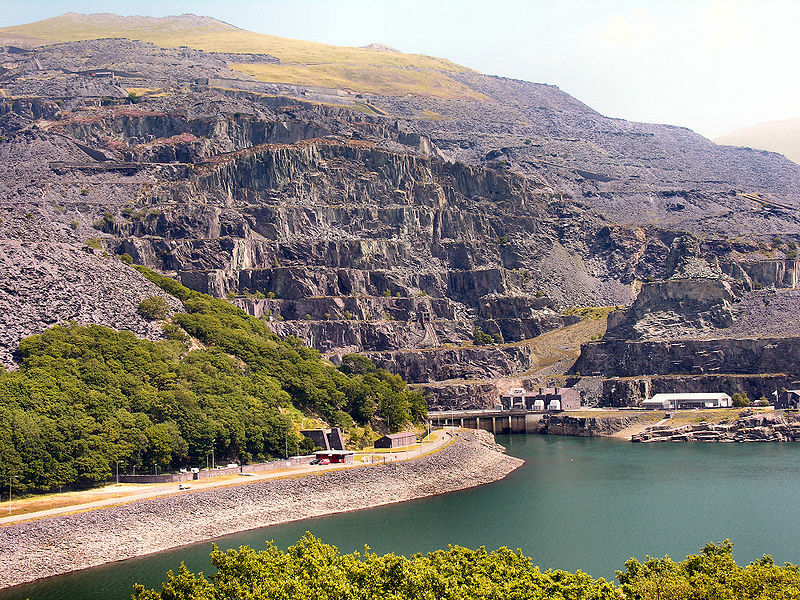 As of 2011, the UK generates around 1.5% of its electricity from hydroelectric power plants. This is predominantly provided by a range of small-scale hydro resources. Hydropower is an example of direct interdependence between the need for water and energy. And while its contribution to the UK energy energy profile is small, its share in countries such as China (6.7% of total production), India (4.8% of total production) and Norway (63.9% of total production) is much higher. This may become problematic in places such as China and India where security of water supply is a growing issue. The Dinorwig Power Station in Wales. Source – Wikimedia Commons. Dinorwig Power Station. Source – Wikimedia Commons. Quarry. Its construction was a feat of engineering requiring 12,000,000 tonnes of rock to be excavated and moved. Such a large project would have consumed considerable water and energy in its construction. 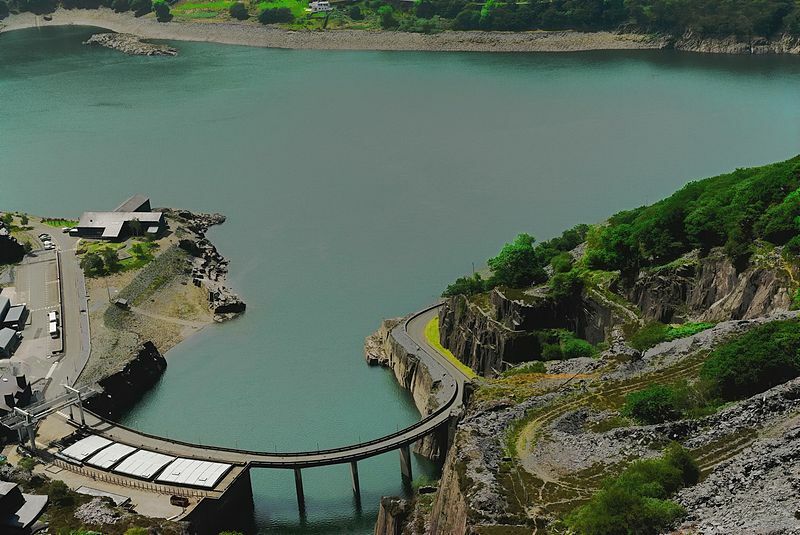 The plant runs on approximately 70-74% efficiency and involves storing water at a high altitude in the Marchlyn Mawr reservoir which is then discharged into Llyn Peris through the turbines at periods of peak demand. The water is then pumped back to Marchlyn Mawr during off-peak times. This poses the problem that electricity is needed to pump the water back up to the reservoir, and it actually takes more than the energy that is generated on the way down, but because this is done at period of low demand, the energy is cheaper to consume. This cost benefit may change as the security of access to electricity diminishes. 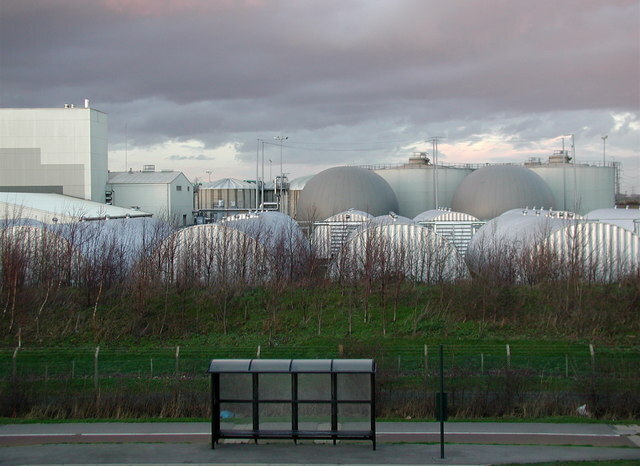 Salt End Sewage Works. Source – Wikimedia Commons. An example of water being limited by energy is the need for energy to produce and deliver water for drinking and other domestic, agricultural and industrial use. Energy is required at every step of the supply chain, from pumping ground water (530 kWh M-1 for 120 m depth), to surface water treatment (the average plant uses 370 kWh M-1) and transport and home heating (King et al., 2008). Energy is also needed at the purification stage to provide clean drinking water under the Water Framework Directive. Water treatment is the industrial-scale process that makes water acceptable for its end use and this can include processes such as aeration, chlorination, filtration, desalination etc. All of this processing requires a secure source of energy. In the UK, water companies report increases of over 60% in electricity usage since 1990 due to advanced water treatment and increased connection rates. Conservative estimates predict that increases of a further 60-100% over 15 years in order to meet myriad relevant EU directives (WssTP, 2011). Enhanced geothermal system. Source – Wikimedia Commons. And finally, the use of geothermal energy in the UK. While the UK is not volcanic, there is potential in shallow geothermal ground source heat pumps which use heated water held in shallow aquifers and deep saline aquifers. Groundwater held in Permo-Triassic sandstones in the UK has the potential to provide a geothermal resource at depths of around 1-3km. 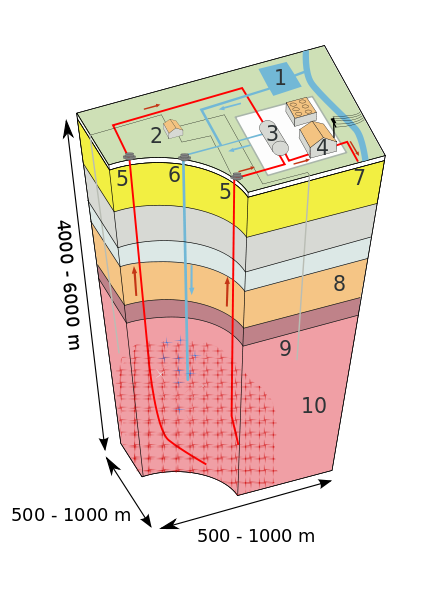 The Uk’s primary geothermal aquifer resources (where the temperature is greater than 40 degrees) are East Yorkshire and Lincolnshire, Wessex, Worcester, Cheshire and Northern Ireland. In the 1980’s Southampton’s City Council created the UK’s first geothermal power scheme drawing water at a depth of 1800 metres and a temperature of 76 degrees. This water now heats a number of buildings in the city centre and is part of a district heating scheme that include other combined heating, cooling and power soures. As of 2011 the scheme provides 23MW of heat and is used to generate 24,100 MWh of electricity. If you want to read more about the Water-Energy nexus see the World Water Day website or read about it on the Society’s website. Tags: energy, environment, water. Bookmark the permalink. Flo: you say that the energy required to pump ground water is 530 kWh M-1 for 120 m depth. Is this for each liter, cubic meter, or some other unit volume pumped? Furthermore, it would be helpful to know what this means for the TOTAL energy used to pump groundwater in the UK. Is there a source to find out the number of wells and their depths? Thank you! Hi Morgan, Thanks for your comment. The figures comes directly from this piece in Nature Geoscience, where it is quoted as it is in the piece.